I have created this list of top 20 personal development books because reading good personal development books is one of the best ways to invest in your own growth. The right reading habits can improve your memory and learning capabilities. 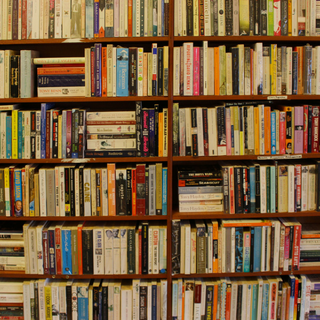 It is no wonder that many successful people credit their success to their reading habits. 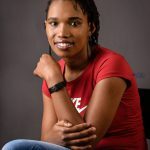 Oprah Winfrey once said, “books were my path to personal freedom.” Bill Gates is also known to be a voracious reader, completing about 50 books a year. That’s about a book a week and is no mean feat. Take notes to make sure you are absorbing new knowledge, make sure you are concentrating. Read what is comfortable with you whether print or digital books. Read for at least one hour every day. So one of your goals this year is to read more books, huh! You are in the right place. I do believe that the top 20 personal development books have the potential to totally transform your life. As you might have figured, I subscribe to the school of thought that books are the path to enlightenment and freedom. 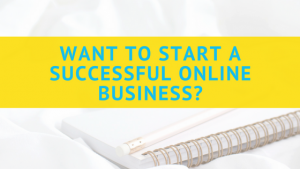 Wondering where to start? Worry no more. The top 20 personal development books collection is perfect for you. If you can read just one of these books every month and take action on the key takeaways you get from it, I promise you that at the end of the year your life will not be the same. Reading is an investment in your personal growth. 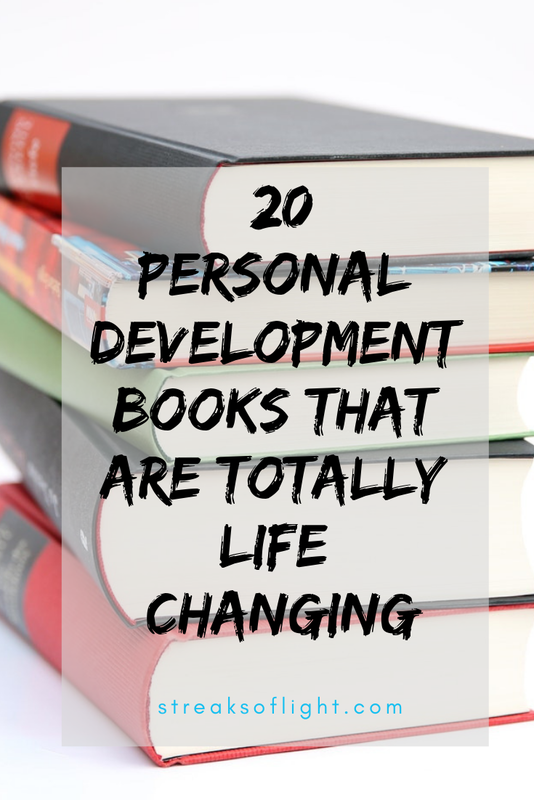 One of the things I really like about most of the books on this top 20 personal development books list is that they have been popular for years. A book like Think and Grow Rich was written in 1937 but its principles are still applicable today. That tells me that the wisdom in this books is for the most part, timeless. Below you will find a summary of the top 20 personal development books after which there will be short reviews of each of the books and an affiliate link through which you can see more reviews on the book and/or buy it. Are you only interested in a specific book in the top 20 personal development books list? Click on the link below and it will take you straight to the book’s review and links to check it out. In The 7 Habits of Highly Effective People, Covey covers 7 habits which you can adopt in your own life to become more effective. There is an emphasis on effectiveness rather than efficiency (Yes, there is a difference). It is no good being highly efficient on stuff that is not important. I won’t preempt the book any further. If you are keen on becoming more effective in your life, get yourself a copy of The 7 Habits of Highly Effective People. There is wealth in this book. Napoleon Hill draws from the stories of successful people to teach you the secrets that can help you have a rich life. It is one of the most life-changing books you will ever read and it has withstood the test of time. Ultimately, you are the captain of your life, you steer in the direction which you want. You need to realize that you have this power within you and this is the book to help you unlock that power. In The Success Principles, Jack Canfield lays out 65 principles that have been used by successful people throughout history which can be adapted to your own life. Should you be looking for just one book with lots of great ideas to help you make improvements in your life, then get this one. You will learn how to increase confidence, tackle daily challenges, live a life of passion and purpose and realize your ambitions. The ideas in How To Win Friends & Influence People are very simple but they have the potential to significantly impact your relationships. You will find simple advice such as to smile and remember people’s names and also more serious and crucial insights on how to deal with arguments. When you are in a position of leadership, having influence and great relationships with others is an asset. And this book will be of great help to you in that area. I love that the advice in there is very simple yet really practical. Tony Robbins has created his place as one of the greatest authorities in the personal growth and development space today. Many people will agree that he is a great coach and in Awaken The Giant Within, he has also established himself as a great author. It is hard to choose only one book from the top 20 personal development books list since they are all so good. But, if you are only going to pick one book to read today, pick this one. Then take the wisdom in the book and take action. You can now watch the quality of your life improve drastically. I read The Purpose Driven Life for the first time over 10 years ago and helped me to discover that each one of us has a purpose in life. The book seeks to help clarify your purpose in life, to answer the question, why am I on earth? For each one of us, it is your responsibility to identify and live in your purpose and Rick Warren will help you to do so through this book. The purpose driven life is also really popular for group studies in churches and study groups on purpose. For the clarity you need on purpose, get yourself a copy. You control your life by controlling your thinking. the power of positive thinking is one that none of us can afford to ignore and Dr. Peale does well in developing the argument for positive thinking. The Power of Positive Thinking is an international bestseller and is one that should be on everyone’s bookshelf. No matter where you are in life, there is wisdom in this book to help you live a happier, more fulfilling life. Leadership is all about influence. Great leaders are those who are able to influence others positively. You will find Developing the Leader Within You to be a great resource for developing leadership principles in a systematic way. There are many practical points that will help you become a better leader in whichever position you are. Do you believe that you need to earn a huge income for you to be rich? This book is best for improving your financial intelligence. The advice in the book is practical and will help to start you off and improve your personal growth in finance. If you are looking for a personal growth book in finance and investing, Rich Dad Poor Dad is the book for you. Your success, happiness, health, and financial wellbeing are all dependent on your attitude. I listened to the audio version of this book and I found it quite remarkable. It covers principles of success and makes a case for how a positive mental attitude is key to attain success. Using real stories of men and women that used the power of positive attitude to attain success, the wisdom is timeless. Success through a positive mental attitude is one of those books you have to read more than once because it is that good. Sometimes your external circumstances do not motivate you but you need the drive to keep going on. Self-motivation is something we cannot ignore in pursuit of personal growth. You cannot achieve success without self-motivation. In Why We Do What We Do, Deci delves into the science of human motivation, how and why we do the things to do. He gives actionable advice to help you create sustainable motivation and drive in your life. Apart from being a great resource for everyone who is in charge of others, as a parent, this book will be an eye-opener and help you practice positive parenting. Our subconscious mind does most of our daily thinking. Understanding the power of your subconscious mind and releasing this power is the secret possessed by successful people. The Power of Your Subconscious Mind is an easy read and will help you to understand the power of your subconscious mind better and how to work with your subconscious mind to improve all areas of your life. Many people say that their success is self-made. But why is it that some people attain great levels of success while others fail to attain their highest potential? Gladwell takes the scientific approach to explain the different factors that play a role in one achieving success. You will learn about the 10,000-hour rule. For one to become an expert in a certain area, they have to have put in at least 10,000 hours of practice. In Outliers, I not only enjoyed all the stories Gladwell uses to prove his point, but I also found it quite eye-opening. Do you think there are self-made successful people? Outliers will change your perspective. If you are an introvert, this is a must-read for you. I am an introvert myself and I know that sometimes we spend a great deal of time trying to adjust. Adjusting to a world that seems to be going at a much faster pace than we are comfortable with. You will learn that there is nothing about your introversion that needs ‘fixing’. It will free you to be true to yourself and realize that being an introvert is not a flaw. It is a beautiful thing. Grab that book fellow introvert, you won’t regret it. Looking for something to gift an introvert? Quiet is a good choice. Habits can either enslave you or free you, you only need to learn to handle habits well. This is why I felt that this book was a must have in the top 20 personal development list. Habits can make you or break you. The Power of Habit will teach you how habits are formed and their influence over individuals and society. Get a copy of The Power of Habit and learn how to replace bad habits with good habits and utilize the power of habit to excel in life. This book is really a step by step guide to help you live a happier and successful life. Ziglar covers 6 steps for success including self-image, relationships, goals among others. You will learn how to set and accomplish goals, develop a healthy self-image and have better relationships with others. Do you need the inspiration it takes to get to the top? Then you really need to get See You at The Top! Of course, The Alchemist made it to the Top 20 Personal Development Books list! Everyone should read it. The Alchemist is a modern classic that tells an inspiring tale of self-discovery. It is a book that inspires the courage to pursue your goals and visions no matter how big they are. Do you want to live fully the life that you truly desire? The Alchemist is the book for you. You have the power to succeed but you have to first recognize your true potential. Maximum Achievement will give you the strategies you need to realize your potential and achieve success in all areas of your life. If you apply the principles outlined by Brian Tracy, you will be able to see the results in your own life quickly. Who doesn’t want to be productive yet stress-free? I know I do. This is a book to help you become more organized. David Allen offers practical skills which you can implement immediately and start seeing changes in your own life. Getting your life into order will definitely relieve you of unnecessary stress and make you more productive. This is my all-time favorite book. I think it will always make it to my Top 20 Personal Development Books list every year. It is short to read, I think it is like 32 pages. And it has a life-changing message, I try to read it every year. You can find my review on it in the top 5 books that have transformed my life. In order for you to read the Top 20 Personal Development Books effectively, you have to improve your reading habits. I do have some tips for you in this section. Set aside about 20 minutes every day to read. 1 hour a day is ideal but when starting off, 20 minutes are just fine. I find that the best time to make time for reading is at night before you sleep. Instead of scrolling through social media waiting to fall asleep, pick a book and enjoy reading until you actually fall asleep. This top 20 personal development books list is definitely not exhaustive. However, I will be working on more resourceful lists which target specific areas of development, e.g. finances, entrepreneurship, etc. Did you like the Top 20 Personal Development Books list? Which are some of your favorite books that are not on this list? Which areas are you looking for reading suggestions/ recommendations on? Yes, it is. I kept saying, “that’s right” and nodding along as I read it. Such a great list! I would tell your readers about Mastery by Robert Greene. Along with the books that I have read on your list it has really done a lot to help improve my persepective. I will check it out, Roger. Thanks for the suggestion. Thank you for sharing! Brb, heading to the library to get a start on this! Reading is so important, and this list is awesome! Thank you, Stephanie. Enjoy your reading. I have never heard of any of these, but am all about trying some new books. Thanks for sharing them! Great list to reference when I want to read something that makes me think! Thanks for sharing, Kalia. I’m glad this was useful to you. Great list! A lot of these books are on my to read list. Some of them I didn’t know yet, but I will add them to my Goodreads now! Thank you! You will love them, Johanne. Amazing list! Thing about me is I’ve been breaking Bill Gates’ rule #1. Not anymore. I’m currently reading The Alchemist by Paulo Coelho. I think I have broke it too a few times but with time I have become more consistent with finishing my books. Thanks for your comment, Joe. I hope you enjoy The Alchemist. Always a sucker for a good book! Thanks for giving me some to add to the every growing must read list. ♡ Success through a positive mental attitude sounds awesome! Hey, Sara. It sure is a good book, you will love it. I’m glad I could contribute to your list. Ooooh. So many great ideas. I love reading inspirational books – lots here to add to my list! Keep reading, Jamie. 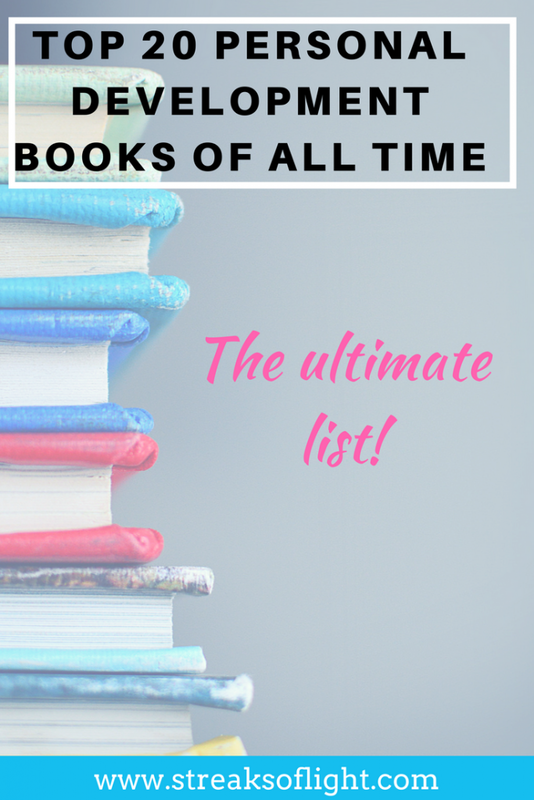 I will develop more lists as I find more books worth recommending. Great resources! I have read some and have yet to read quite a few. Guess I better get going on that task! Thanks again for this great list! You are very welcome, Linda. You have a great site and I will be back. You are in the Hot Seat today. A great book list. Some I did not know about and will look for. Thank you so much, Zan. I would love to have you back. I enjoyed being on the hot seat. I Learned a lot and I am definitely going to implement that on my site. I really love WA and all the support I am getting from there. Thaks again for stopping by. #FiveSecondRule by Mel Robbins — it got me from knowledge (all the book reading I’ve done) to action (actually doing what I know I should be doing, even when I don’t feel like it!). Wow, Lee. You really love this book and I am convinced more than ever that I should find it. I hope it transforms my life as much as it has yours. Thank you so much for the recommendation. Think and Grow Rich by Napoleon Hill is one of the best book for reading. thanks, man you have done well. I agree with you Ashar. It is one of the best books on finance that has ever existed. Thank you for your compliment.